There’s hardly anything “happy” about the New Year when you’ve got a raging, skull-crushing hangover to contend with on January 1. It happens to the best of us, especially when it makes so much sense—at the time—to knock back five, six, seven glasses of champagne before the ball drops (no judgments). Didn’t protect your liver before painting the town last night? That’s okay. To ease your ailing brain and aching body before you jump full force into those resolutions (just a guess, but is “do a detox cleanse” one of them? ), here are some natural remedies to help get you on the mend. And unlike some bogus hangover helpers, these home remedies really work. We know you heard it during your college days, but it bears repeating: Hydrate, hydrate, hydrate—and not just with water. Drink electrolyte-rich coconut water or sports drinks and even bouillon soup, suggests New York City-based naturopath Gabrielle Francis, ND, author of The Rockstar Remedy. According to the U.S. National Library of Medicine, these will replenish your body of the sodium and potassium you’ve lost, compliments of the champagne. If you’re already in the throes of a hangover, this may be one to try next time you imbibe. But if you haven’t called it a night yet, you’re in luck! One Chinese remedy involves eating a combination of tangerine pith (the white part between the fruit and the skin), ginger and brown sugar to decrease the chances of experiencing nausea and vomiting after drinking. A study testing the theory found that those who consumed this mixture before drinking alcohol felt considerably better than their hungover counterparts who hadn’t taken any preventive measures. Many people try to calm alcohol-induced queasiness with greasy, fatty foods like pizza or donuts. However, Francis recommends settling your stomach with gentle foods like oatmeal, rice or soup that are easy to digest and won’t interfere with your body’s natural detox process. She’s toured with and helped Jane’s Addiction, Courtney Love and Aerosmith get healthy, so she knows. In addition to exercise, encourage your liver to detox by eating brassica veggies such as cauliflower, broccoli, kale and cabbage. “A detox shake can be used the morning after to help you replenish lost vitamins and bounce back,” explains Francis. Research has shown that prickly pear extract could be a hangover antidote so long as it’s taken before drinking commences. A study published in Archives of Internal Medicine found that those who took the extract cut their chances of having a severe hangover (with symptoms that included nausea, dry mouth and aversion to food) in half. Used successfully for the emergency extraction of poisons, activated charcoal is being touted as an impurity eliminator, both externally as a beauty treatment and internally as a hangover cure. Available in capsule form, it is thought to reduce hangover symptoms by eliminating toxins (although according to WebMD, scientific evidence is insufficient). Consult with your physician before trying this remedy to ensure it won’t interfere with any medications you’re taking, and if you do decide to give it a go, make sure to stay hydrated. Charcoal has a drying effect in addition to its detoxifying properties. 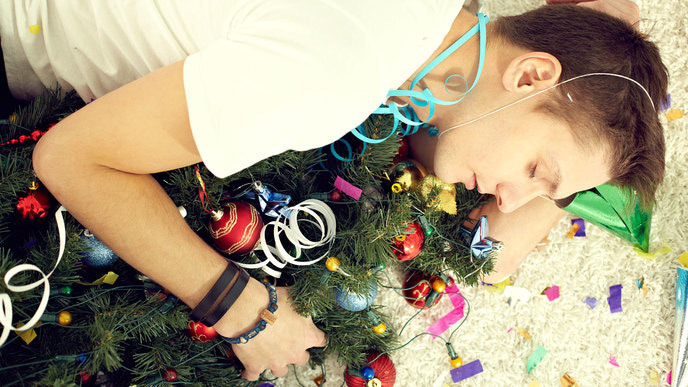 If you end up not needing to try any of these remedies on New Year’s Day, we want your hangover-prevention tricks. But if you do try them, let us know which ones worked for you! Do you have any other natural hangover remedies you swear by?